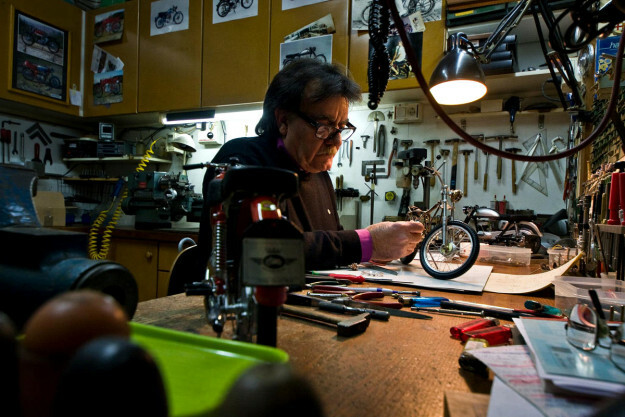 In the small Spanish town of Molins de Rei lives Pere Tarragó, a motorcycle builder of quite extraordinary skill. 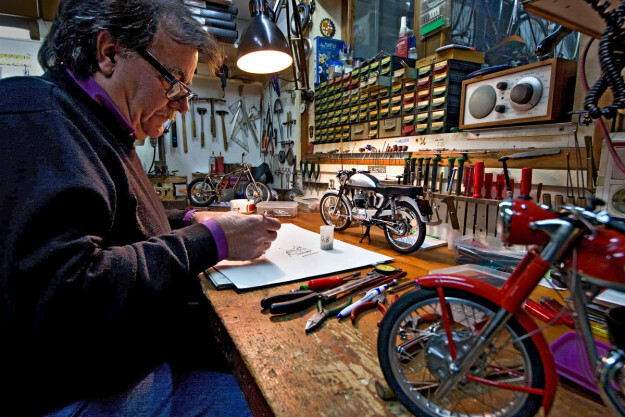 His bikes are completely unrideable—but that’s only because they’re 1:5 and 1:6 scale models. 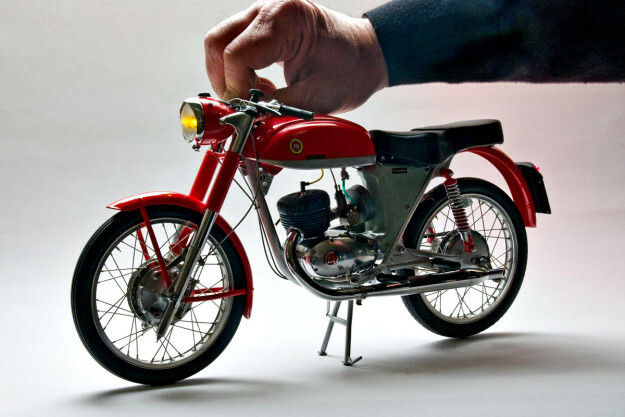 These motorcycle models are nothing like the Revell or Tamiya kits you played with back in the 70s. In photographs, Tarragó’s creations are virtually impossible to separate from the real thing. In many ways, Tarragó’s process is similar to that of a regular custom builder: it involves lathes, milling and welding. But normal tools are often useless for this kind of detail work, so Tarragó has made his own. 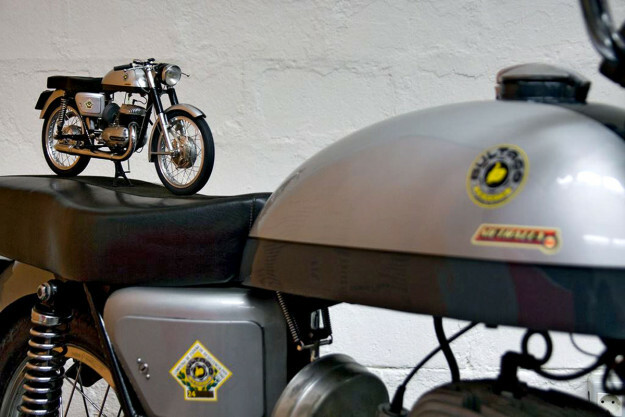 He starts a build by taking photographs, making drawings and copying decals from a full-scale bike. 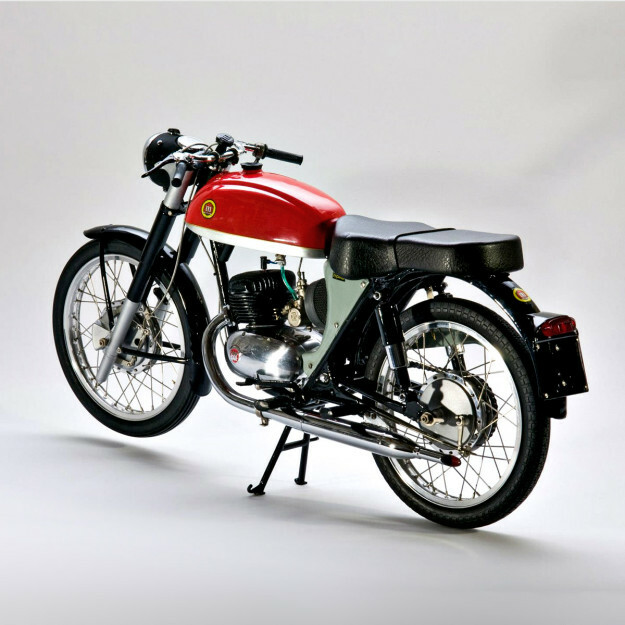 The subjects are usually classic Spanish machines like Bultaco, Montesa or OSSA—although there’s the occasional venture further afield, with Italian marques such as MV Agusta and Moto Guzzi. And the odd Henderson and Indian from across the Atlantic. Once he’s satisfied with the blueprint, Tarragó returns to his workshop and begins construction, using authentic materials such as steel, aluminum, brass and soft-tempered Nappa leather. Weeks later, he’s ready to make a test assembly of the model, and check the operation of the brakes, clutch, wheels and transmission. Yes, the controls are usually functional. 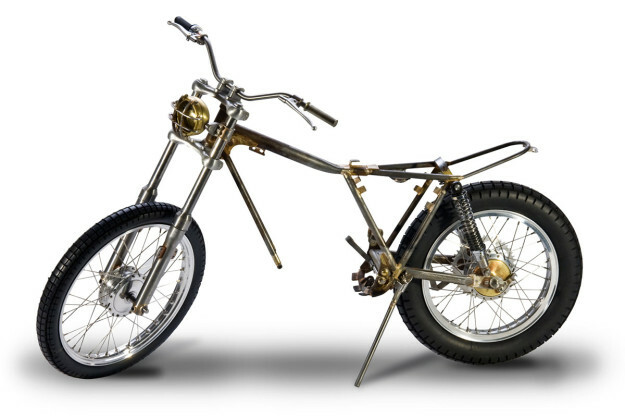 On some builds, operating the brake lever will move the brake pads in the drum, and the front suspension will operate via friction plates and leaf springs. 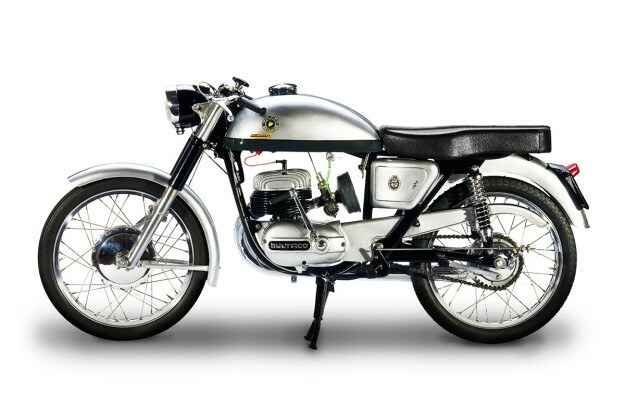 Tarragó then takes the model apart and applies the finishing touches—polishing, plating with nickel and chrome, and painting. The final assembly takes between 250 and 400 hours. 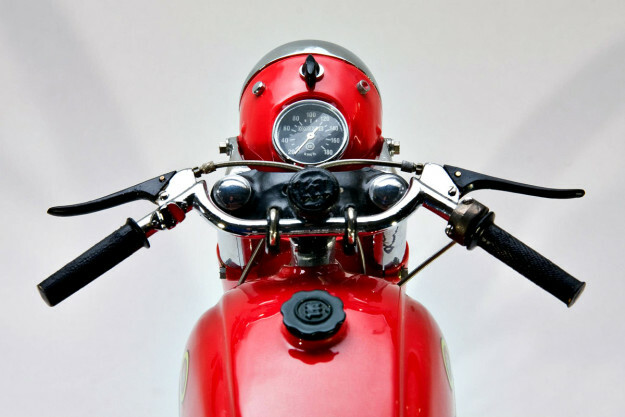 Isn’t it wonderful to see such a fine display of craftsmanship in a mass-produced world?